Trevor was lucky to join another Zest for Birds pelagic trip today (co-guiding with Barrie Rose, Alvin Cope, Cliff Dorse and John Graham). The extra set of guiding eyes was a response to our slightly surreal sighting of an Amsterdam Albatross close to Cape Point last week, as we had unrealistic hopes of finding the bird again. Unfortunately the weather was not ideal, with a north-west wind of around 20 knots and a choppy sea, and we were troubled by some light rain after rounding Cape Point. 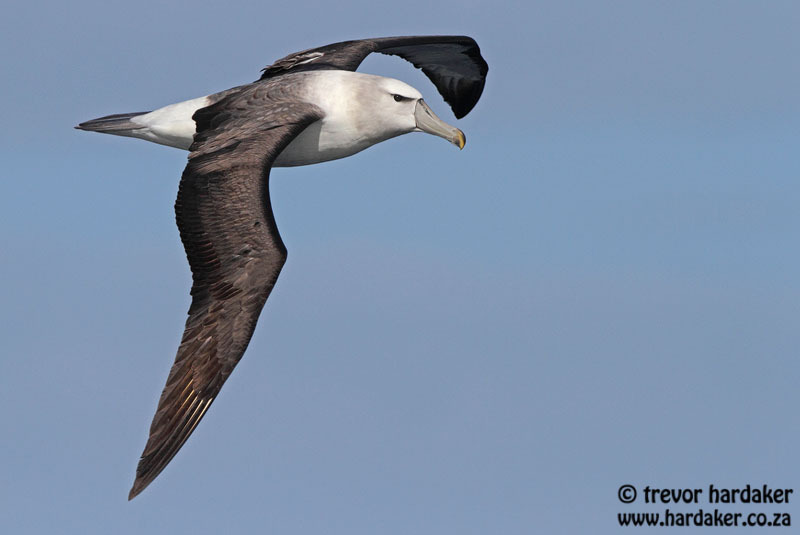 Amazingly, at around 4 nautical miles past Cape Point, Barrie picked up a Wandering-type Albatross at long distance flying parallel to the boat, and the views we were able to accumulate between rolls appeared very similar to last week’s mega albatross. Unfortunately, the bird disappeared into some rain and despite following its course for some time we were unable to relocate it. The waters close to the shore had an unusually large collection of Sooty Shearwaters, and an interesting shearwater with darker, uniform underwings was seen amongst them, close to the boat. This is a feature of Short-tailed Shearwater, but it was felt that the bill length was too long and the leg extension too little for this species, and so we let it go. Due to the rain and spray we got no pictures, and so it will remain unidentified. Our voyage outwards took us out of the rain and into clear skies, and we added good birds as we headed southwards. 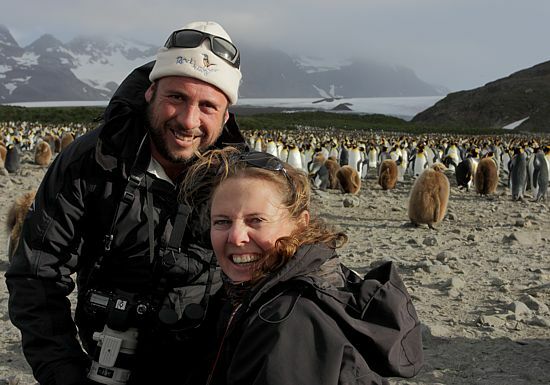 Antarctic Prions were regular and gave excellent views, and Soft-plumaged Petrels and Great-winged Petrels were seen early in the trip. A loud yell of “Turtle” from Cliff alerted us to a Loggerhead Turtle loafing close to the boat and we were afforded great views. This is a particularly uncommon species in our part of the world and was also a new species for our Western Cape challenge list. 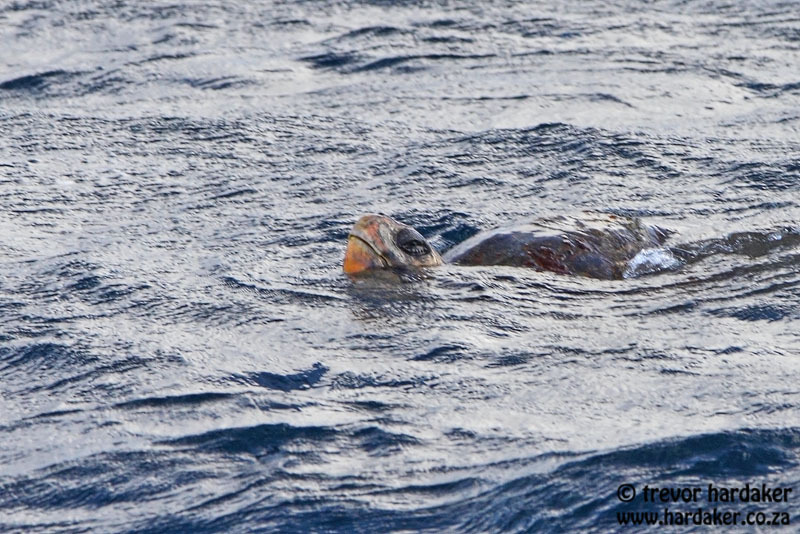 A brief Sunfish spotted by Alvin was unfortunately not seen again. As was the case last week, we were unable to locate a trawler and so did some chumming with fish oil in the vicinity of the shelf edge. We brought in Wilson’s Storm Petrels, Soft-plumaged Petrels and Antarctic Prions for good close looks, and a quick flyby of a very similar Slender-billed Prion was only revealed from examination of photo’s shortly after setting off northwards. 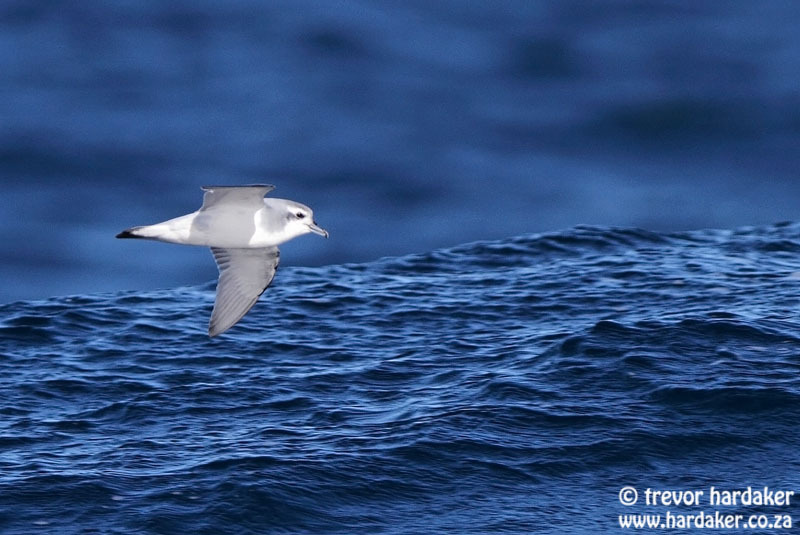 Astonishingly, we did not see a single Pintado Petrel, even when chumming. These are strongly attracted to chum and so there cannot have been any within reasonable reach of the boat (downwind, of course). Our voyage home was quiet, although added further views of Humpback Whales. ~ by hardakerwildlife on July 28, 2013.